I am getting this magna comic of the day. 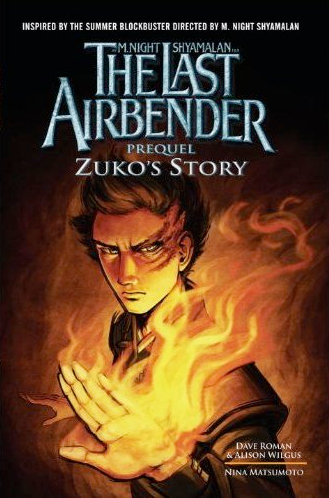 I just finished the complete Avatar television series. It's funny how all these adults are super into the airbender cartoon. I've heard from tons of people how good it is and have watched a few myself pretty fun. So did you sit on your new couch for days on end to watch the entire series? I hung out on my new sofa for the last 2 seasons. I killed the 2 seasons in like 4 days. The first season is good, but the second season has such wonderful storytelling I couldn't turn away. The story of Zuko especially is entertaining and compelling. The third season picks up where the second left off in terms of weaving an excellent adventure. The final 4 part episode is ridiculously good, as well. Lots of emotion and intense action. I feel like the animators and pencils did their best on this last portion of the show. The battle sequences and closeups are drawn with vivid detail and great concern for each frame. The complete 61 episode series is on Netflix streaming right now. The movie comes out July 2nd, so there is still time to see this beautiful masterpiece of a show.